A new study on the Greenland Ice Sheet provides valuable insight on climate change, using unique research methods to establish new estimates of ice loss for both modern and ancient times, says UB geologist Beata Csatho, one of more than a dozen team members on the international project. The research was published today in Science Advances. It was led by Shfaqat A. Khan of the National Space Institute at the Technical University of Denmark (DTU Space). 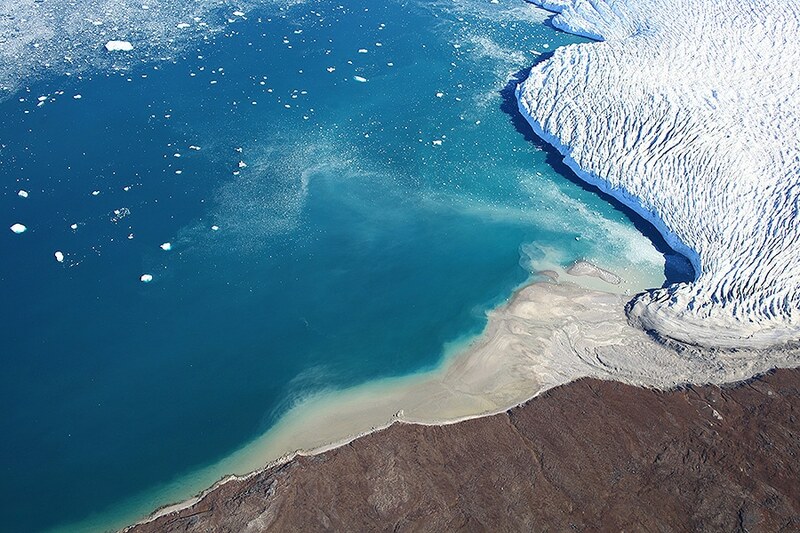 The study improves estimates of past and present-day ice loss by going deep — by exploring the Earth’s activity beneath the Greenland Ice Sheet, says Csatho, professor of geology in the College of Arts and Sciences. She explains that the ice sheet sits on the Earth’s solid crust, which is in turn perched atop a softer layer of rock called the mantle. When the ice sheet loses ice, the crust underneath rises up — similar to the way in which a compressed spring will bounce up when pressure is removed. This uplift, called postglacial rebound, means that scientists can’t measure how much an ice sheet is shrinking by simply tracking changes in its surface elevation. They also must figure out how much of that elevation change is caused by the bedrock rising. The new research uses data from GPS stations fixed on bedrock to capture the uplift process in unprecedented detail, showing that earlier studies may have underestimated past and present-day mass loss, Csatho says. The paper also hints that the mantle beneath Greenland is not uniform: The ice sheet’s southeast region has experienced unexpectedly rapid uplift rates of about 12 millimeters per year, suggesting the mantle may be hotter and less viscous here, making it springier.